Evergreen Crematorium has been in operation since 2003 and is located on the grounds of Milton Evergreen Cemetery. Recent expansion of the crematorium was completed in July 2011. 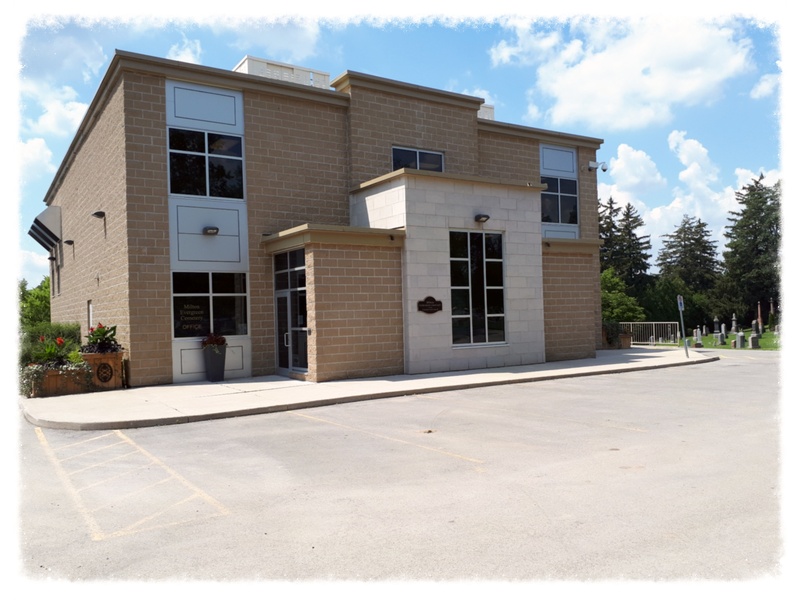 Evergreen Crematorium is the largest provider of Cremation services in Ontario serving Milton, Hamilton, Niagara and the greater Southwestern regions of Ontario. AODA – Provision of Goods and Services to People with Disabilities Policy Statement. Evergreen Crematorium (Independent Cremation Group Ltd.) is committed to the provision of goods and services to people with disabilities in a manner consistent with the principles of dignity, independence, integration, and equal opportunity. Furthermore, such goods and services will be provided in accordance with the spirit and intent of all applicable legislation including the Accessibility for Ontarians with Disability Act (AODA), the Integrated Accessibility Standards Regulation (IASR) which includes standards for Customer Service, Information and Communications, Employment, Transportation, and Built Environment, the Ontario Human Rights Code (OHRC), the Occupational Health and Safety Act, and the Ontario Building Code Act. A COPY OF OUR POLICIES AND PROCEDURES IS AVAILABLE UPON REQUEST. The state of the art facility operates under the guidelines and requirements of the Ministry of the Environment. The dedicated staff provides the dignity and respect that your family member deserves, remembering that every person coming into their care is someone’s loved one. Evergreen Crematorium is pleased to recycle implants and other metals gathered during the cremation process, the proceeds of which are donated in their entirety to local charities in the communities of our associated funeral homes. Since 2017, donations have exceeded $100,000.